Complete set for the front and rear of your auto. Customized by laser engraving the image of your choice. Choice of color: Ash grey or Khaki This is NOT knitted or woven. Best suited for logos. Personalized floor mats make great gifts for that new driver or to customize your vehicle with your favorite licensed logo. A personalized floor mat with your name, nickname or Monogram makes the accessory unlike anyone else's and unique you. personalized welcome mats. 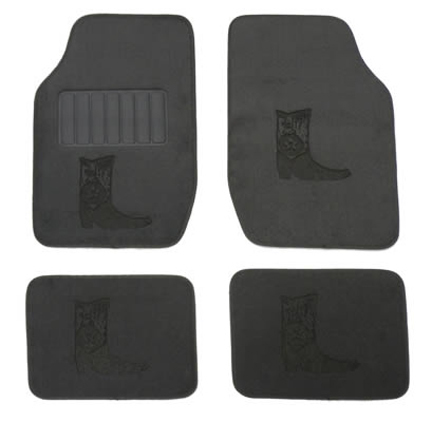 Personalized floor mats are available in rubber nippled backing floor mat. With a universal fitting application they are sure to be the hit of your vehicle accessories.